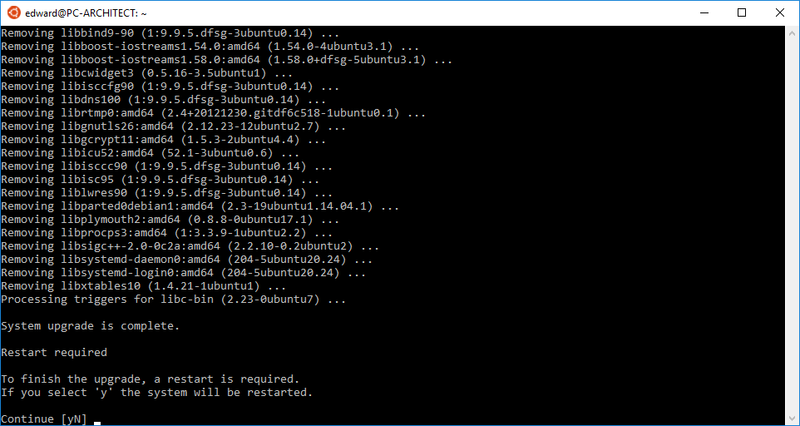 If you have configured the Ubuntu Bash Shell on Windows 10 and then received the Windows 10 Creators Update, your Ubuntu Bash Shell will not be upgraded automatically. 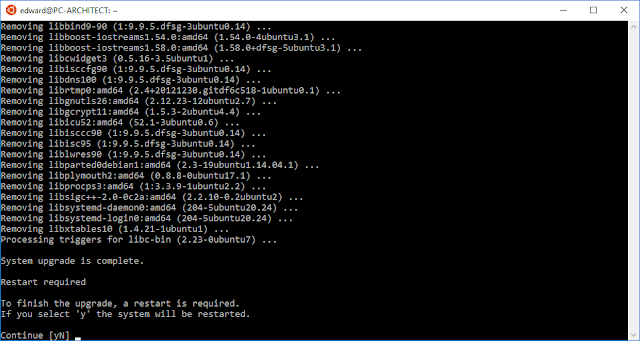 To review, the Ubuntu Bash Shell on Windows 10 is configured to run Ubuntu 14.04. But with the Windows 10 Creators Update, Microsoft has upgraded the Ubuntu Bash Shell to run Ubuntu 16.04. So after you receive the Windows 10 Creators Update, you will want to upgrade the Ubuntu Bash Shell to the most recent Ubuntu 16.04 release. Be aware that the upgrade process will take some time. Also, you will most likely be asked several questions along the way so make sure to pay attention to the upgrade process once it begins. I pressed y to restart the system but it actually did nothing. So I would suggest that you can just press N when prompted to restart.